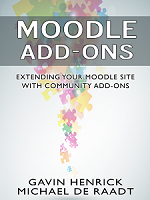 For those who follow the bi-monthly updates of Moodle the new updates were released this week. These updates cover three major versions – 2.7, 2.6 and 2.5. Although it can take some planning, it is important to consider upgrading at least to the minor releases to be sure you have the latest bug fixes and security fixes applied.